can at least the genus be determined? Ca. 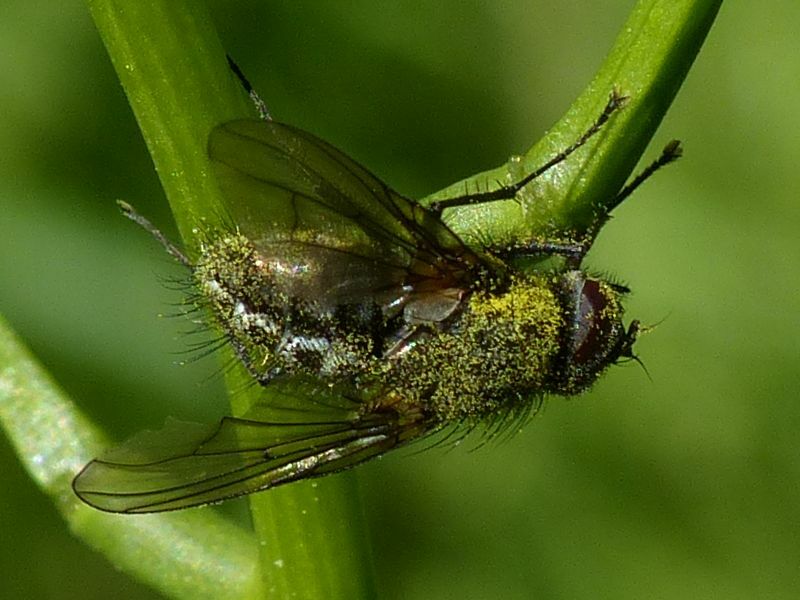 7-8 mm, doing "gymnastics" on an Alliaria petiolata plant on a fallow near a small creek (northwest Germany). thanks! There were many Helina evecta around recently. I already thought it could be one of them. 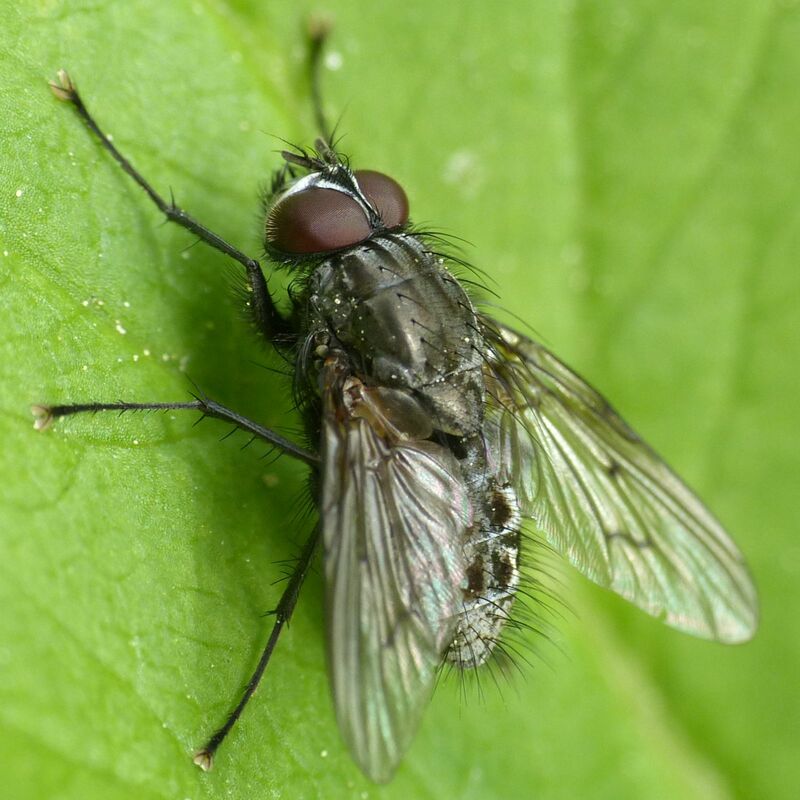 I agree with evecta for various reasons but it is difficult to put a species level id to such a dirty fly. We could be surprised to find it is annosa or something else. I've learned to be more cautious these days. I have no problem with Helina cf evecta. My initial thoughts were evecta based solely upon the wings, hairy eyes and abdomen. Also: i often view the spider forum to see what people are finding. I noticed your post. The Theridiidae spider is not Sardinidion blackwalli. I can post a photo of Sardinidion blackwalli if you want to see it along with pedipalp. Anyway, i agree with Theridion as a possibility. 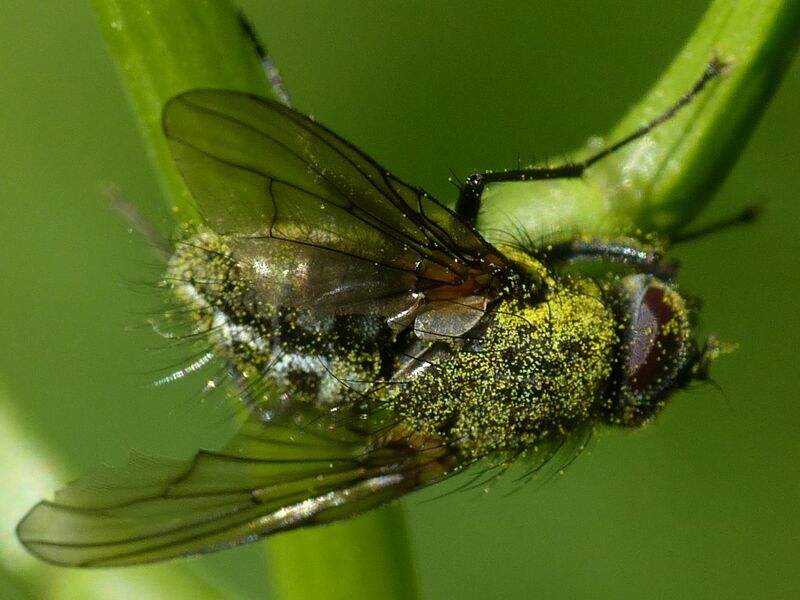 such a dirty fly. We could be surprised to find it is annosa or something else. I've learned to be more cautious these days. I have no problem with Helina cf evecta. My initial thoughts were evecta based solely upon the wings, hairy eyes and abdomen. no problem. H. evecta is an abundant fly here. There's no need to base a record on such an individual. Also: i often view the spider forum to see what people are finding. I noticed your post. The Theridiidae spider is not Sardinidion blackwalli. Yes. I hoped to get some new opinions, what it could be, before I changed the subject line, but there are none yet. 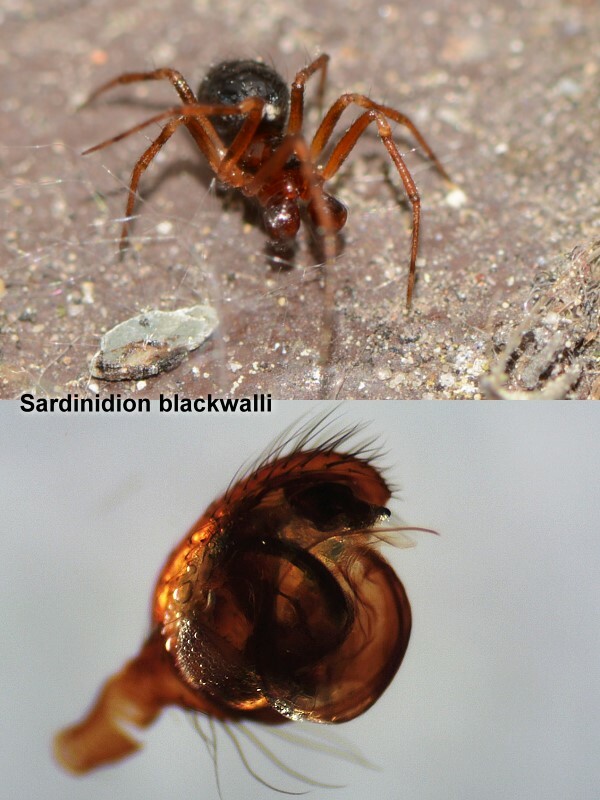 I can post a photo of Sardinidion blackwalli if you want to see it along with pedipalp. Always nice to see an interesting spider. Anyway, i agree with Theridion as a possibility. Thanks. There's often Theridion cf. melanurum here at the house, but mostly I only find females. I forgot to tell you that I found Helina sp that looks very similar to one of your posts. Please allow me time to analyze the genitalia for an id. If the fly matches yours, then i will update your post with a name. Meantime, here is a photo of Sardinidion blackwalli from a few days ago. The pedipalp is much different than the one in your photo. From a lateral view, you should see a strong curve. The curve isn't present in your photos. I will try to look at your photos more when i have some free time. Unless someone beats me to it. please let me know if you wish to see larger photos. Meantime, here is a photo of Sardinidion blackwalli from a few days ago. The pedipalp is much different than the one in your photo. From a lateral view, you should see a strong curve. The curve isn't present in your photos.